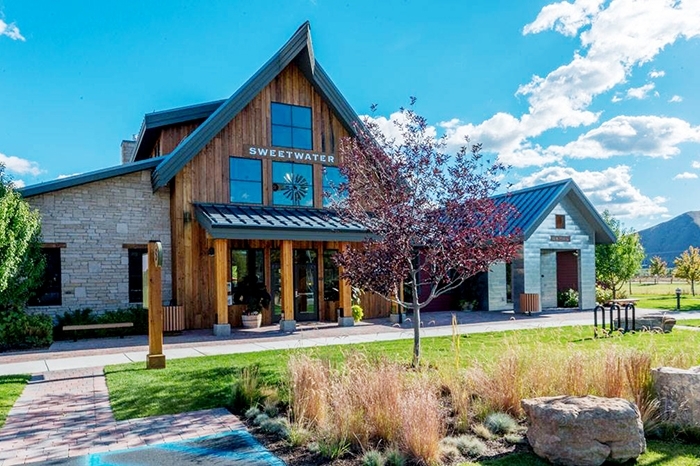 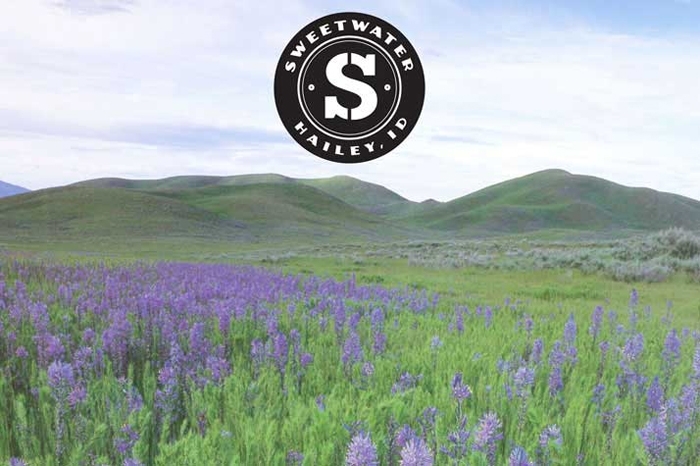 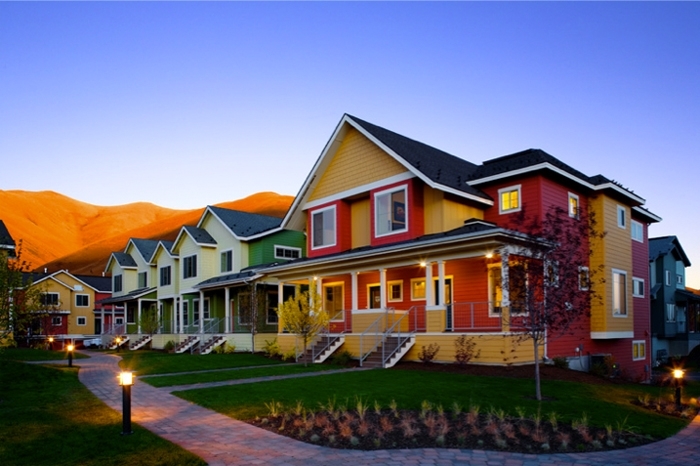 Located in Hailey, Idaho, near the resort of Sun Valley, the environmental graphic design at Sweetwater plays a unique and essential role in creating a cohesive community design, reinforcing a sense of arrival and a sense of place through historical references in the design. 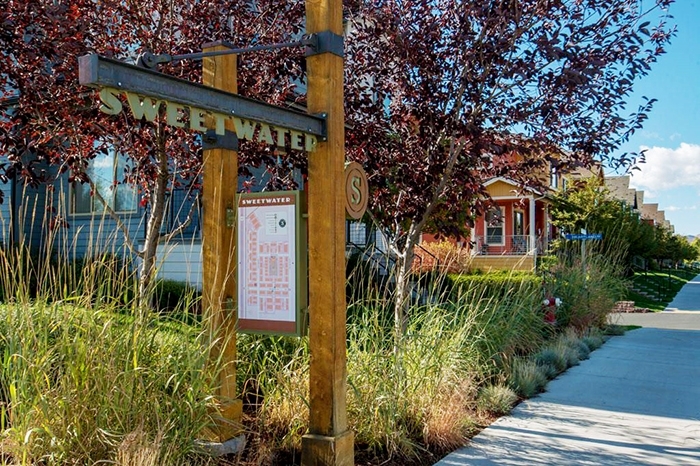 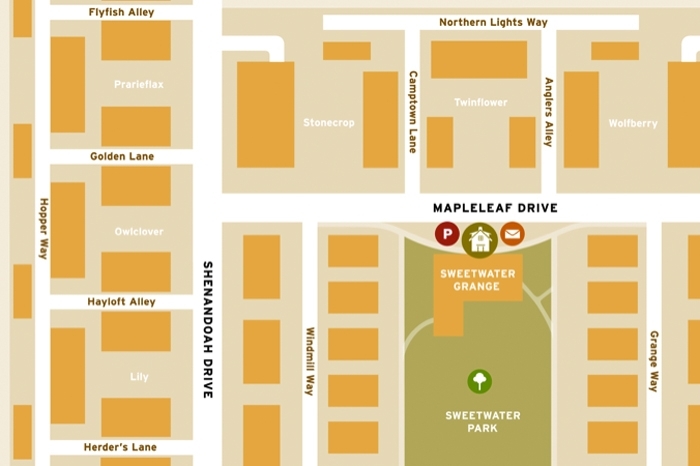 The signage, lighting and various elements throughout the site tell a story about Sweetwater and its place in the community. 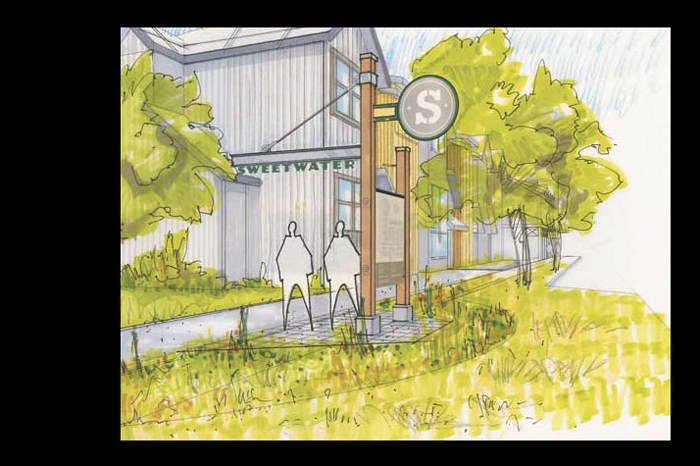 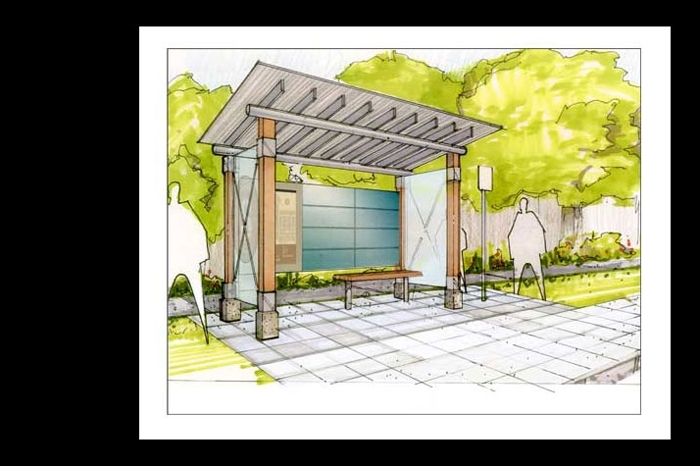 The water tower armatures, station signage and community kiosks are reminiscent of railroad materials and symbols. 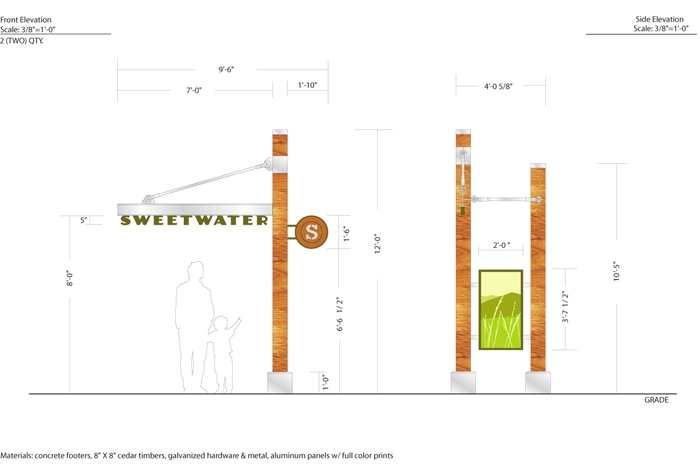 Light industrial elements are softened by wood tones and natural color schemes in keeping with the camptown, railroad and agriculture themes in the architecture and landscape. 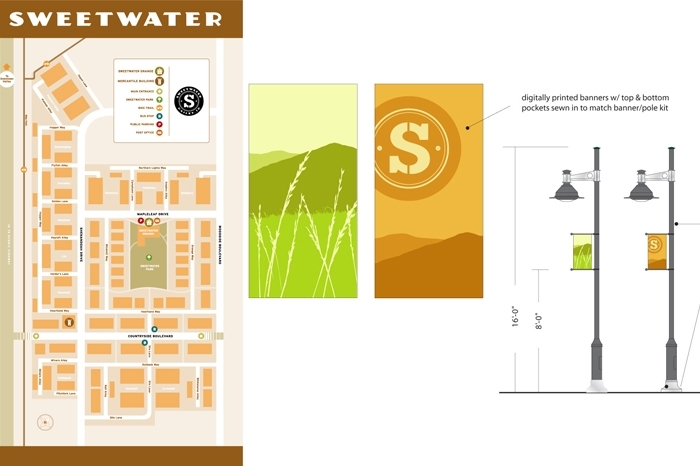 In addition to the sign elements, RMB Vivid named all the streets in the community and developed interactive tools to communicate the history of the site.